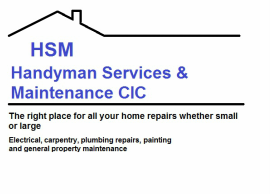 We are a Social Enterprise that provides a handyman service for general repairs and maintenance of all kinds around the home and garden. This service is mainly provided to older people, people with disabilities or learning difficulties, with the objective to promote independence in the home. We are recommended by organisations such as Neighbourhood Network Schemes, Care and Repair, Adult Social Care.